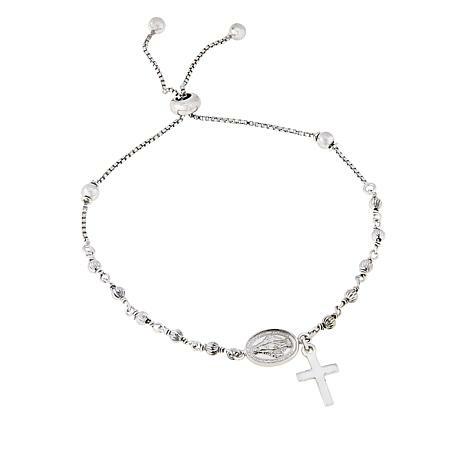 Accessorize your wrist with a pretty bracelet that's divinely inspired. This rosary-style design features an oval medallion of the Virgin Mary, silver beads and a dangling cross charm. 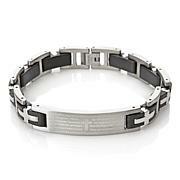 Wear it as an an expression of your faith, or fun fashion statement! 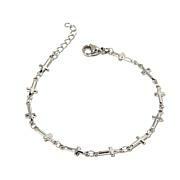 This bracelet is so dainty and beautiful! Just what I was looking for! I am so happy I decided to purchase it! I wear it everyday. I don't even take if off to sleep! I thought this was children jewelry when I opened it. For a child it would be beautiful for many celebrations. I just expected more substance and I have a tiny wrist. Unfortuneltly , I'll be returning because I don't think it will last as an everyday piece which it was I wanted.